Industrial Safety Apps are set to change the game around industrial safety. Mobile apps are the future — and increasingly the present — of industrial safety. If you’re a white collar worker, it’s easy to forget how dangerous industrial environments are, with workplace accidents, exposure to dangerous chemicals and worse. Millions of people are victims of accidents in the workplace. The Bureau of Labor Statistics reports that just in 2015, there were more than 4,800 deaths and 2.9 million injuries on the job. Now industrial safety apps will change the game. Increasingly, the most popular tools to reduce the number of accidents and improve safety in workplace are mobile industrial safety apps. A survey from Dodge Data & Analytics, for example, found that nearly half of contractors (42 percent) it surveyed use safety inspection checklist mobile apps. However, using mobile tools for safety training (35 percent) and for accessing safety and health websites (28 percent) is still relatively rare. Mobile safety apps are being used for safety not just by contractors, but in virtually every industrial setting. Nearly every industry has their own suite of mobile safety tools. For example, the Sheet Metal Occupational Health Institute Trust (SMOHIT) has a long list of mobile safety apps for those who work with sheet metal — tools such as an app to measure sound levels to help reduce dangerous noise exposure, another to calculate the heat levels being used when working with sheet metal, another that provides information about chemical hazards and many more. 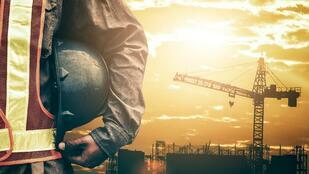 These industrial safety apps are having a profound affect on worker safety. And the state of Washington’ Department of Labor & Industries has developed its own mobile apps that it makes available for free to in order to “prevent workplace injuries, illnesses, and fatalities and help injured workers return to work,” in the words of the department. One of them documents safety incidents in the workplace, and another gives safety lessons, videos and hazard identification for a variety of occupations. As I’ve written before, at Alpha Software we’re big believers in the power of mobile apps to improve workplace safety. For example, one of our customers in the oil and gas industry with 10,000 employees in more than 100 countries built a safety app that lets employees fill out forms on their phones to report potential safety problems. And another customer built an SaaS app for agricultural safety. Because of Alpha Anywhere’s mobile optimized forms capabilities, it’s ideal for developing industrial safety apps. In only a few minutes, you’ll be able to build a form-based app to enhance worker safety. Because the forms include a robust offline forms capability, workers in any industry, including mining, oil and others that use remote field service workers, can use it without an Internet connection. In fact, developing safety apps is so important to us that we have included a Safety and Health app in our Sample App Gallery.